Sometimes, pure joy can be captured in a single snapshot. This touching image from Turkey has gone viral on social media in recent days, and it's easy to see why. 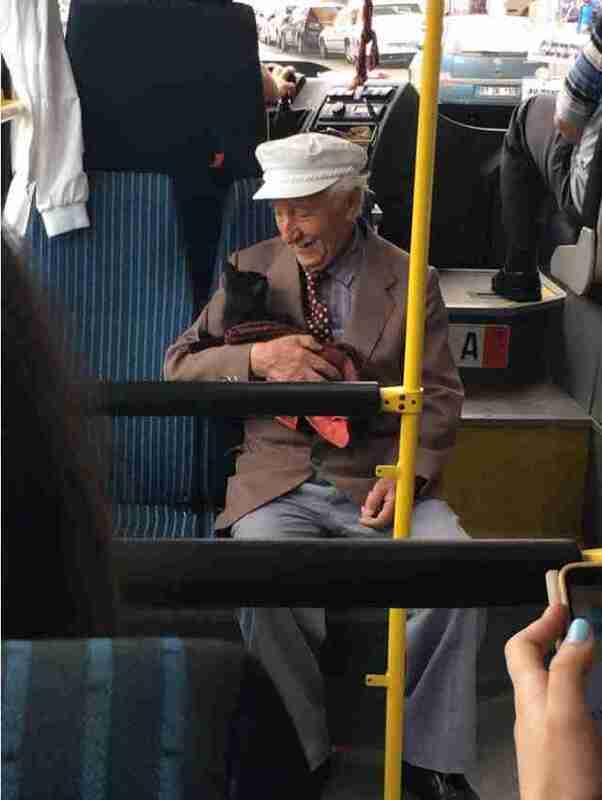 The photo, purportedly taken in Istanbul, shows an older gentleman sweetly smiling at a kitten he's cradling as the pair ride together on a city bus. Though we can only speculate about their story, whether the man and cat are companions or have only just met, their expressions in that tender moment nevertheless speak multitudes. On Twitter, the photo has been liked and shared thousands of times, with some calling it the most beautiful picture they've ever seen — a testament to the fact that seeing love for animals, even in a stranger's eye, can make the world a happier place.